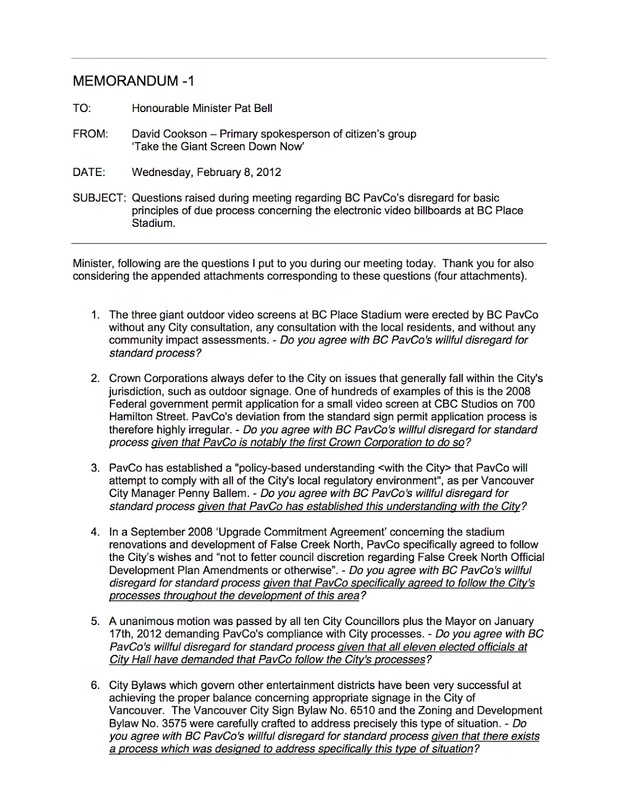 Take the Giant Screen Down Now: PavCo Minister Bell deaf to new conciliatory request from TtGSDN group? 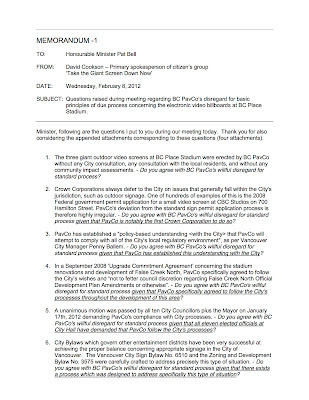 PavCo Minister Bell deaf to new conciliatory request from TtGSDN group? 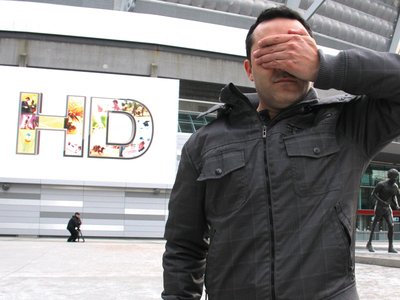 Take the Giant Screen Down Now organisation has taken a new conciliatory tone, deviating from its long-standing demands to immediately remove the giant screen at Terry Fox Plaza and the two other giant screens surrounding BC Place Stadium. 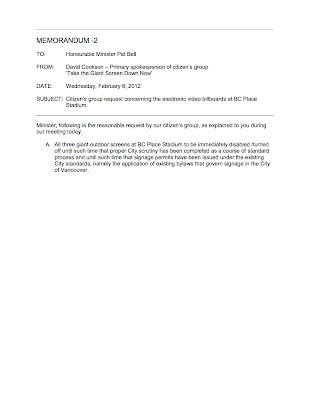 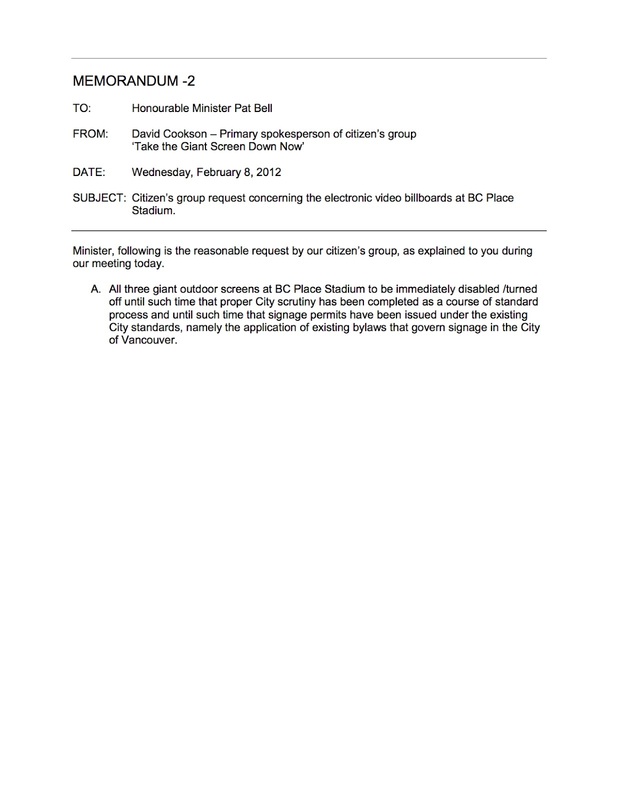 Rather than continuing to insist that the screens be taken down with no further discussion, the group has made great concessions towards BC PavCo and is now simply requesting that regular processes regarding city infrastructure be followed and that existing city standards concerning entertainment district signage be applied.